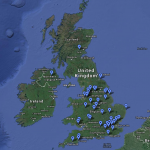 There has been an undeniable rise in sightings of the false widow spider across the UK and we are getting reports of sightings daily which we are adding to our sightings map. 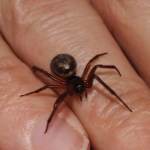 With the potential dangers of getting a bite from a false widow spider, the best thing that you can do if you find one in your home is to remove it safely. 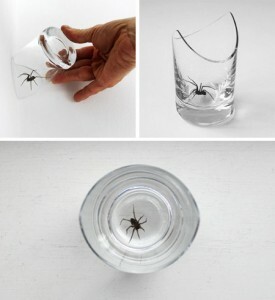 Ideally you do not want to touch the false widow spider, so the “paper and cup” technique is risky, as you will have to get quite close to the spider. Here are a couple of ideas for ways to catch a false widow spider and remove it from your home without having to come into close contact with it. Removing a spider using a vacuum or hoover can be a really effective way of getting rid of it without having to come into contact with it. Our suggestion would be to use a specific insect vac. These are usually battery powered and make removing spiders really easy. Our suggestion would be something like the BugBuster Battery Operated Insect Vacuum these will collect the spider unharmed so that you can release it outside. These innovative spider catchers are really effective for catching spiders, and no batteries required. Just catch the spider using the trigger on the handle and release the spider in a safe place. 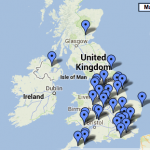 The best one of these we have seen is the Brainstorm Spider Catcher which is affordable and well reviewed on Amazon. Obviously the above items are great for removing spiders, but the ideal situation is to stop them entering your house in the first place! There are some great tips for stopping false widows spiders coming into your house in one of our recent blog posts. Spider Repellent Spray is easy and cheap to buy on Amazon . 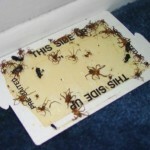 We recommend “No More Spiders”. 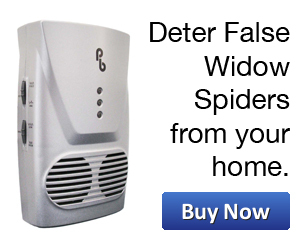 A popular product which has lots of reviews on Amazon is the PestBye Advanced Plug In Spider Repeller Deterrent . Insect traps are easy to buy online, for example these poison free glue traps are available cheaply on Amazon. If you feel that there are any techniques for removing false widow spiders that I have missed, please let us know in the comments below.